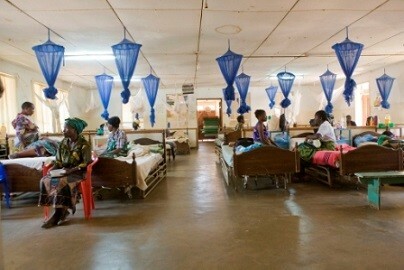 You are at: Home » Health » Malawi is in crisis! It is not a secret now that public hospitals in Malawi are being run by well wishers and legislators for respective areas due to insufficient funds from the government. Forget about the fuel crisis that hit Chikwawa district some months ago and the recent one at Chiradzulu district hospital where even vehicles to carry patients to main referrals had no fuel and just news that hit the media this week that Mangochi hospital officials sent a request to business tycoons in the area to help the health facility with funds. Just as if this is not enough, this reporter has been following reports that Mzimba councilors begs for hospital funds Councilors in Mzimba have asked well wishers to support operations of the district’s hospital which is failing to provide services due to lack of adequate funding. Recently, this publication unearthed problems that have befallen the district hospital as well as some rural health centres in Mzimba district. According to our findings, government allocated seven million to about 31 health centers in the district. Councilor for Edingeni ward Daniel Nkosi just like his fellow councilors views such an amount as not enough considering the vastness of the district. To him government would have done better by allocating a little more funds to clear up problems currently marring the health sector in the district. “At the moment we fear losing our people with the situation at hand. Hospitals here are in total shamble that patients do not have hope,” said Nkosi. Publicists for Mzimba district hospital Ernest Nyirenda admitted that due to few funds they have been forced to cut off some meals for night shift staff as well as patients. He added that chronically sick patients are not being referred from rural health centres because of limited fuel in the ambulances. “We have suspended hot meals for our staff on the night duties as well as patients. Even to refer critically ill patients from rural health centres to here is a problem,” said Nyirenda. However, the councilors are mulling over summoning the district’s parliamentarians and other stakeholders in a bid to map the way out. As a quick response to such desperation the Mzimba pastors fraternal donated money worth MK150, 000 to the hospital. Chairman for the fraternal pastor Ellen Sosole told our reporter that as the faith community they feel sorry for the state of affairs at the facility. Sosole said though the donation may seem small, it will go along way helping patients at the facility who are in great despair. While hailing the donation, councilor Nkosi called for all well wishers who feel they can also help to do so in time. “The current state of affairs has forced us to call upon everyone who wishes to help us to come forward because the health sector in our district is in total shambles. We are afraid to lose our productive subjects,” said Nkosi. This comes at the time the ministry of health has declared that the national health sector is in woes due to lack of funding. iwe Henzie kodi pitala mene amatenga boma amat ndalama azitenga kut zoyendesera dziko coz iyeyo amaziwa kale kut ma donor athawa? Crisis yachani? Dollar tangosainira kumene,inu pa easy zonse zikhala bhooo.china yatipatsa almost a#trillion yoti tipangire zimenezi dekhani mafana. Mayazi madonors sanasiye kamba ka cashgate bodza koma boma ili la dpp linawathamangitsa kuti atsamunda zipitani nde anapita anangobwera kamba kamayi aja basi musanamizile cashgate. I went to a govt antenatal dental clinic on monday for dental care service. The staff told me they ran out of drugs and hospital machine was not working. The staff further advised me there is a private clinic just some 10 km from the govt hospital. I went there on tuesday morning. I saw a big drug store ran by same hospital staff. Dentist came all the way from hospital at 11 o’clock. He had all the drugs and his equipment was working surprisingly. This is true story that happened to me. Why is thiere suchvan arrangement? can u rephrase ur question, i can attempt to give u a clear answer, u mean the dentist came to the private clinic from a govt hospital? u mean the same dentist u met at a govt hospital is the one running that private dental clinic? I can see resignation calling upon this man. So if that is the case then Where did he take the money from to pay for 118 people to recent meeting he had in un?? What sense thing did your president the one you r deffending said during his presentation? Who is to blame then, the captain of the ship. In any crisis there is always hope at the end.We need to undergo this crisis in order to identify how we can stay on our own without external support. We are a 50 year old baby and it is time this baby starts fending for itself.How do Mission hospitals in rural set up survive through paying services? Are we saying we are really so poor that we cannot pay a little something towards our medical services? We are poor yes.The big question which all of you who are looking at the negative aspect only should be-How do we come out of this poverty trap??? so bad,thats why amalawi ambiri akuthawira maiko a kunja monga southAfrica,botswana,dubai,uk,mozambique ndi ena ambiri. A great testmony of DPP’s failure. Koma kumalawi tidzapuma liti? Olemera nalemelabe osaukafe natipitabe chitsogolo mkusaukaku. Mpake ana achicheperefe tikukulira mmaiko a enii ngati kwathu tilibe,poganizira kuti tikadzabwera tidzafikira pa dzuwa. Mulungu tithandizeni!!! Kodi a ziphunzitsi ndi apolice akudandaulanawo mavutowa. Zisawakhuze paja amati akufuna dpp. Little by little Malawi is geting worse every day, the challenges are becoming even harder & the chances of the poor to live a better life are extremely low. Limbani mitima amphawi anzanga, nanga mutani? brame yourself . nowadays every organization anthu akuba nde tingatukuke bwanji??? think malawi think!!!! Chair adayambitsako free pri edu bingu adayambitsako fertilizer subsidy amayi adathetsa fuel crisis pamene agogowa evry sector akhazikitsamo crisis, kunena zoona palibe cholozeka chomwe anganene chamzeru ndi crisis yokha yomwe taiona. Peter ali busy kuonetsa lilime ngati gulo . BUT CASHGATE PEOPLE GOT LOTS OF MONEY THEY STOLE FROM GOVERNMENT BUT CANNOT EVEN CONTRIBUTE ANY CENT THEY ARE EVIL CASHAGATE PEOPLE EH! Mulungu mundidalitse nanenso kuti ndizadalitsetso ena osowa. Kodi a millionaire athu akulepheleranji kuti apereke ndalama,kapena mavutowo akumusangalatsa. Shame On The BIG PULOFESA!! Even the government itself will be run by well wishers.Salaries for cvil slaves will be paid by prophets i.e come jan 2o16. ndalama zidathera ku #UN!!! 115 heads need, shelta, food & other thngs, #kukama_yoondatu_kumeneku!!! Where is the president of Malawi? Why are just watching him ill-treating the country like that? Malawians, let’s pray to God so that death should visit him. We prayed, his brother died. If we pray again, he’s gonna follow that. God is always faithful! Kkkkkkk ! Abraz Mwatero Kdi ? Kodi imeneyo ikhale public reform?? Koma ndiye yadza udyotu! gonjexani adan oxe njala thenda nsanje God bless malawi Amen.